With a 41% increase in overall phishing volume, the second quarter of 2017 demonstrates a phishing threat landscape that is both thriving and volatile as cybercriminals pivot and exploit different targets. Join PhishLabs R.A.I.D. Threat Intelligence Manager, Crane Hassold, for this webinar where he will detail the trends presented in the report, and provide context to help organizations better assess and mitigate the risk posed by modern phishing attacks. 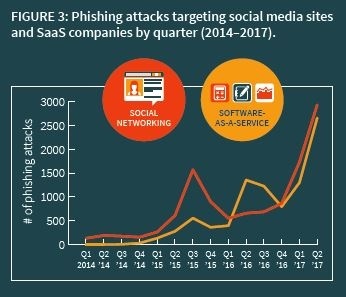 Insight into significant trends, tools, and techniques being used to carry out phishing attacks in Q2. The ways in which attacks targeting financial institutions, social networking, software-as-a-service companies continue to change. New techniques that make cybercriminal scams more convincing and successful.